The Edgehill Retirement Community in Stamford, Conn. on Tuesday, March 21, 2017. 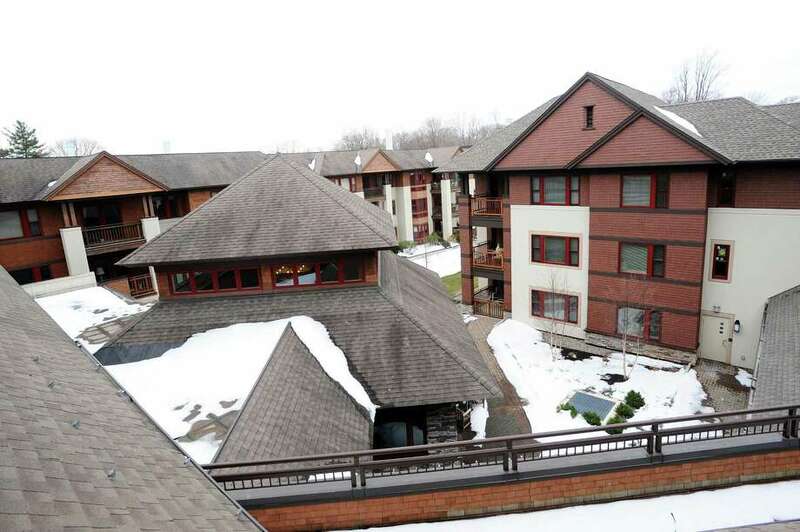 STAMFORD — Officials expect residents will soon be back in their rooms after a fire at Edgehill Retirement Communities Sunday morning. Stamford firefighters quickly extinguished the flames that started on the second-floor balcony of one of the buildings, said Eric Lorenz, deputy chief with the Stamford Fire Department. No one was injured, Lorenz said. A visitor called the fire department around 10:30 a.m. when he or she saw smoke coming from the exterior of a three-story building, Lorenz said. The department evacuated residents in about 30 apartments in the wing, but prevented the flames from spreading inside the apartments. He said 32 Stamford fire personnel had the flames under control within five minutes. The two apartments most affected will need to be cleaned up, but Lorenz said the residents should be able to move back into their rooms soon.